NJH window cleaners in Caterham have just won another contract in the area, we are now getting more and more customers calling us for there windows to be cleaned by NJH window cleaners, our round is growing very quickly in this area so give us a call for a free quote and a chat with our friendly staff. NJH end of tenancy cleaners in Croydon have been flooded with work over the Christmas period, we have been cleaning studio flats to 5 bedroom properties everyday and it has been great to put a smile on the owners of the properties we have been cleaning. 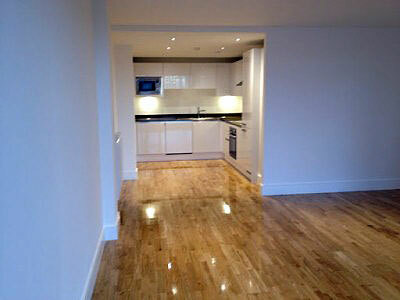 We are always looking for more end of tenancy cleans as this is what we love doing! We also have a special offer starting from today!! If you book an end of tenancy clean with NJH Cleaning Services you get a free window clean using our latest water fed pole system which cleans your frames and Sill’s as well as the glass! We are professional at what we do and take pride in our job so give us a call for a free quote. NJH end of tenancy cleaners in Croydon have been very busy cleaning flats and houses for landlords and tenants, each one has been finished to a very high standard making sure the landlords are happy and the tenants get there deposit back. We were called out to Greenwich and Blackheath to perform a builders clean on a brand new apartment as you can see from the photos the property was left sparkling. We now use eco friendly chemicals which are not only good for the environment but there is no strong chemical smells. If you need your property cleaned by professionals give NJH Cleaners in Croydon a call for a free quote. NJH window cleaners in Dorking this is our brand new area, we have had a number of calls asking if we cover this area and we certainly do, from recommendations we have been asked to clean windows in the Dorking area. We are in Dorking three days a week once a month so if you would like your windows cleaned by enhanced CRB checked and fully insured window cleaners give NJH Cleaning Services a call for a free quote. NJH commercial window cleaners in Croydon take pride in what we do, health & safety is our main concern when it comes a to cleaning windows wherever we are working, we have risk/method statements in place as well as our enhanced CRB check and insurance for your piece of mind. We are always happy to give free quotes and give you a demonstration of our system to show you how it works and show you the reading of our water so you can see how pure it really is, so why not give NJH commercial window cleaners a call to book in your free quote. NJH end of tenancy cleaners in Croydon were called in to clean a 5 bedroom house with 4 bathrooms, we had to put in a quote first before we was given the go ahead to start and we was the cheapest cleaning services in Croydon and we performed a deep clean to every part of the property. The owners were over the moon with the result and will be using us again. Why not give us call to get NJH cleaners in to clean your property and to guarantee on getting your deposit back. Next week we are window cleaning and gutter cleaning in Purley, we have all our jobs booked in advance and there are a fair few gutters that need to be cleared because they are causing damp to the walls. NJH window cleaners in Purley have new customers this week booked in our diary ready to be cleaned and the weather looks like its going to be warm for us which is always enjoyable. Tomorrow we will be window cleaning in Purley on a high rise office block with the highest point being 55ft. This will be cleaned from the ground using the water fed pole system which is the safest method of cleaning windows. If you need your windows cleaned on your office block or a block of flats give NJH window cleaners in Purley a call to arrange a free quote. NJH gutter cleaners in Woldingham have been clearing gutters on a fairly large sized property. The gutters where full to the top with moss and leaves from the trees, we spent a fair few hours clearing the gutters out to stop them from over flowing and causing any damp or damage to the walls on the property. The customer was over the moon and wants us back again to carry out the same job. NJH commercial window cleaners in Croydon this week. We have two new office blocks that require our window cleaning services, these will be cleaned on a regular basis in and out every two months on one office block and the other will be cleaned every six weeks. Health and Safety is always our main part of the job before we start work so on these commercial premises we will be carrying out risk and method statements.